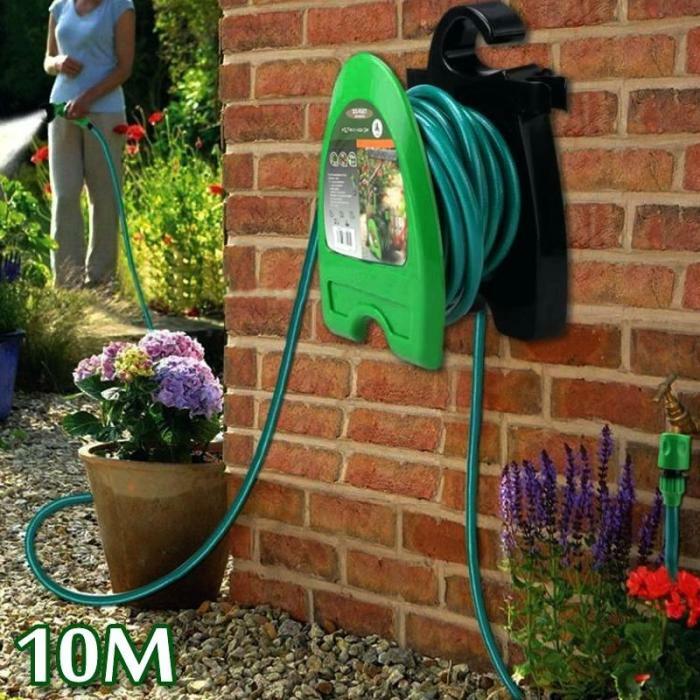 You are here: Home>Products>Garden Water Hose Reel>Garden Hose Trolley>Portable Garden Hose Reel With Water Hose Pipe. 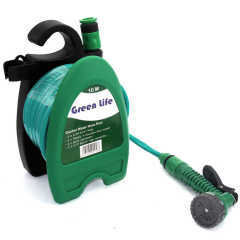 Portable Garden Hose Reel With Water Hose Pipe. 1 x 10M 5/8" reinforcement pvc garden water hose. PVC hose is 3-layer pvc garden water hose,inner diameter is 8MM,thickness is 12MM,work pressure is 120psi.work temperature is 0oC~45oC. it is pre-assemble well,consumer can use it directly without assemble agian. Can be hanged on the wall for store easy. This Garden Hose Reel is ideal to be used in the garden for garden irrigation,plant irrigation,house clear and car washing. This garden hose reel can be hanged on the wall steady,then pull out the long enough hose to irrigate or wash where you want.After you,you can roll the hose on the garden hose reel,and fixed the hose spray nozzle on the hanger.It can keep the garden clearn. Garden Hose can be used to wash air condition,wash windows,clear washing room,wash corner,washing floor and car washing.It is useful product,and neccessory product in the summer for every family.